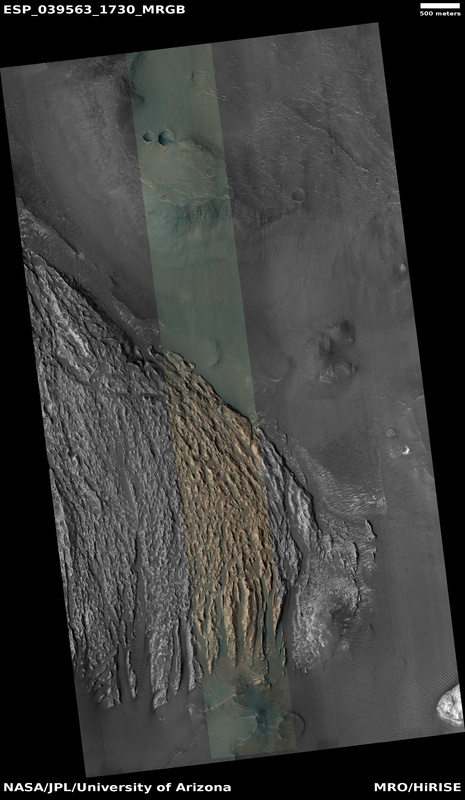 Several terrain types converge in this scene from Arsinoes Chaos, in the far eastern portions of Valles Marineris. The jumbled chaos terrain is likely related to the massive water-carved outflow channels that started in this area and flowed north across Mars’ hemispheric dichotomy and onto the Northern plains. 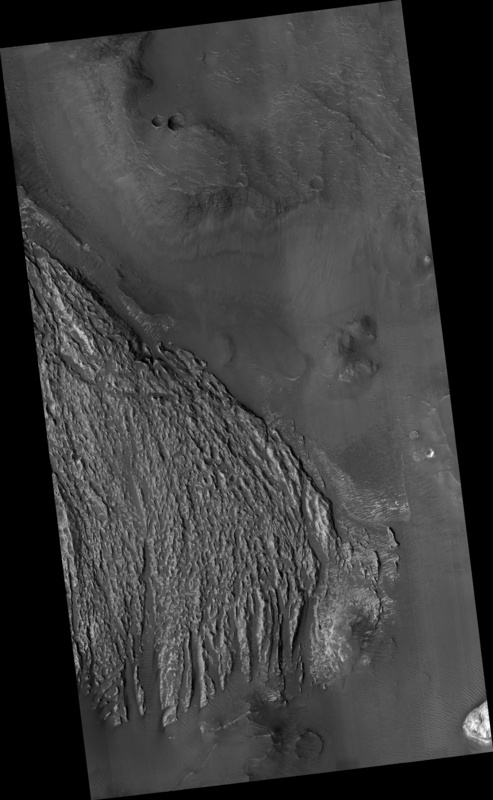 The slightly curving, sublinear bright terrain is composed of yardangs. 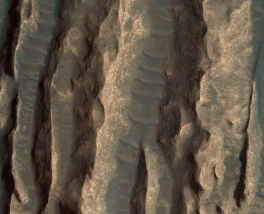 Yardangs are portions of rock that have been sand blasted into long, skinny ridges by saltating (or bouncing) sand particles blowing in the wind. 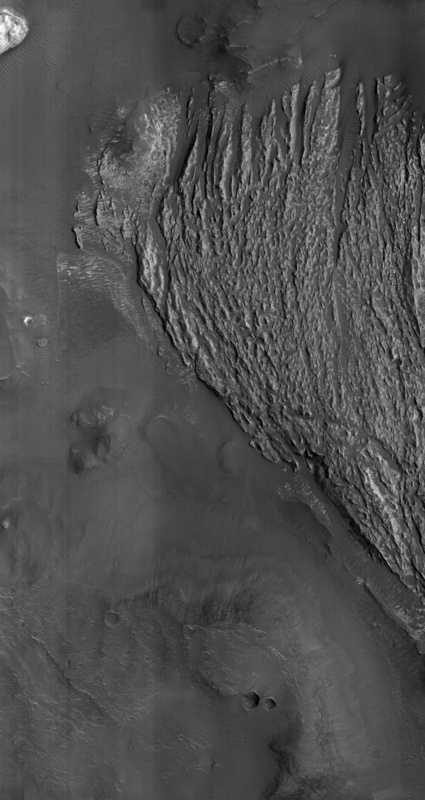 Zooming in, you can see transverse sand ridges between the yardangs. 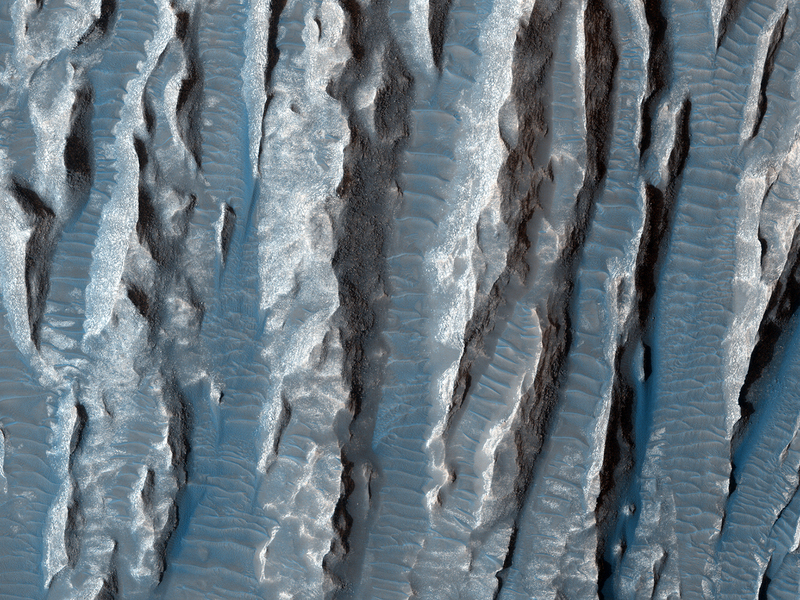 These sand ridges are termed “transverse aeolian ridges” (TARs) and are currently not moving in Mars’ current climate. 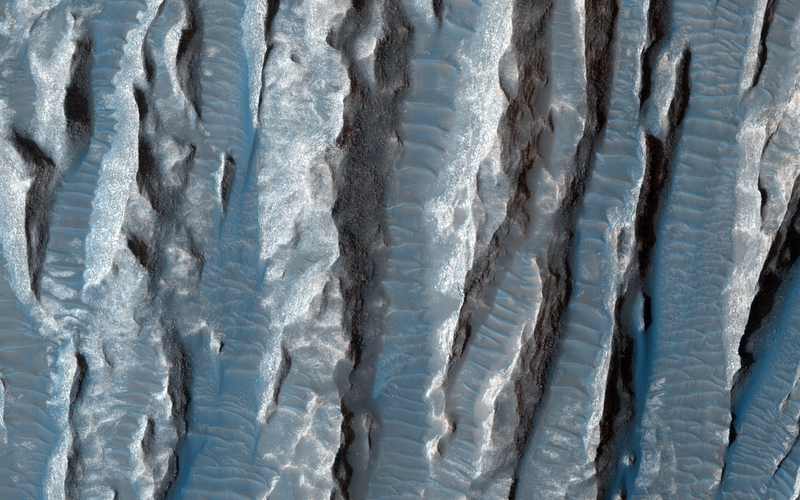 TARs are a mysteryâ€”they are mid-way in height between dunes (formed from saltating sand) and ripples (formed by “reptated” or “splashed” sand grains).